 At BMW of Stratham, we know how important it is to have a dependable vehicle to get around Stratham, Portsmouth, and Exeter. That’s why we offer lots of high-quality pre-owned cars with many features. Keep reading to learn about our automobiles and see how you can find a good one at our pre-owned car dealer near you today. If you’re searching for a pre-owned coupe, sedan, SUV, or any other type of car, you’ll be sure to find it here. That’s because we have a large selection of Pre-Owned cars, which includes lots of BMW Certified Pre-Owned models. Our entire inventory can be found online, where the search filters can make it easy to narrow down your options. Under each listing, you’ll find photos plus a catalogue of features. Then, you’ll want to visit our pre-owned car dealership to test drive your favorite models. Once you’ve driven each vehicle that you’re interested in, you should know which one is right for you. After you’ve picked out your new ride, you’ll want to fill out our finance application to get pre-approved. This information will then get sent to our finance center, ahead of you coming in to start the buying process. We’ll go over your budget, create a payment plan, and reach out to local banks and lenders. Through these steps, you can feel good about the finance options that are presented to you. When all is said and done, we’ll just have you sign on the dotted line. Then, we’ll hand over the keys, and you’ll get to drive home in a new-to-you BMW! You’ll then want to make sure your new ride runs well for a long time. To do this, just bring your vehicle to our service center for any needed maintenance or repair work. Here, our certified technicians can remedy any issue quickly and efficiently. That’s because they have years of experience, plus use cutting-edge equipment. It doesn’t matter if you need an oil change or engine repair, as no job is too big or too small for our team. Plus, if anything needs to be replaced, we’ll use only genuine OEM parts. Since these are the same parts used to build the car, they can help keep your ride in tip-top shape for many years and miles. Whether you live in Stratham, Portsmouth, Exeter, or beyond, the team at BMW of Stratham wants to help you find a great pre-owned automobile. That way, you can travel to work or the most popular hot spots with ease. Don’t wait. Find your new ride at our pre-owned car dealership near you today!